A five-wicket haul for Tom Geeson-Brown helped Harrogate CC dismiss Woodhouse Grange for just 154 on their way to an important ECB Yorkshire Premier League North success. The men from St George’s Road began Saturday’s contest in the relegation zone, but their maximum-points return has seen them climb one place to 10th. Victory would have taken title-chasing Woodhouse top of the table, but just as they did when upsetting leaders York two games previously, the Roosters belied their lowly league position with a fine display. Josh Atkinson (39) and Corrie Keable (24) got ‘Gate off to a solid start before skipper George Ross (62) arrived and struck a fine half-century. 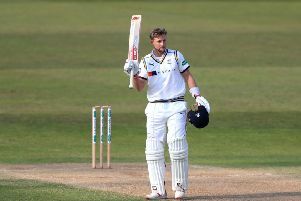 Will Bates then added 46 not out at number six as the hosts closed on 231/8 from their 50 overs. Geeson-Brown ensured that the Grange reply never really gained any momentum, effecting a pair of early dismissals to leave the visitors 52/3. ‘Gate continued to turn the screw and Bates completed a fine all-round performance by taking two scalps, while the pace of Geeson-Brown continued to cause the away side all sorts of problems. In the end, he finished with figures of 5-26 from 10.2 extremely tight overs as Woodhouse were sent packing 77 runs short of their target.